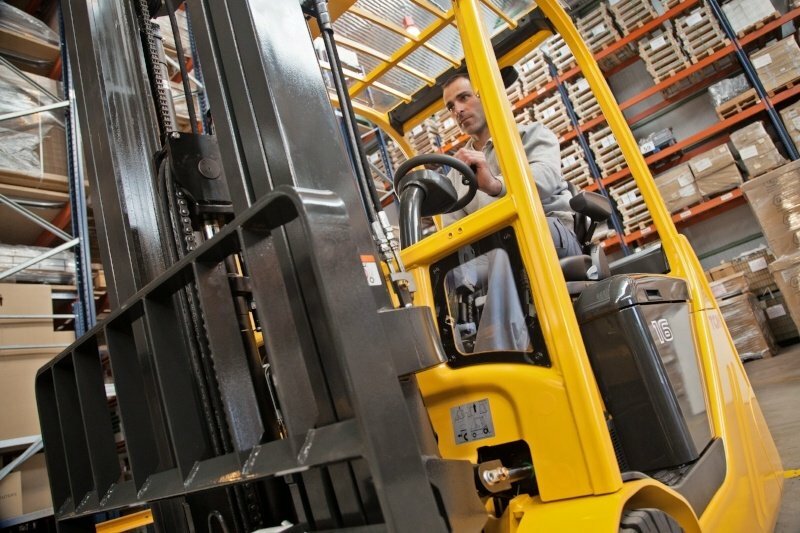 The RTS truck is our solution to the problems created by narrow-aisle design in modern warehouses. 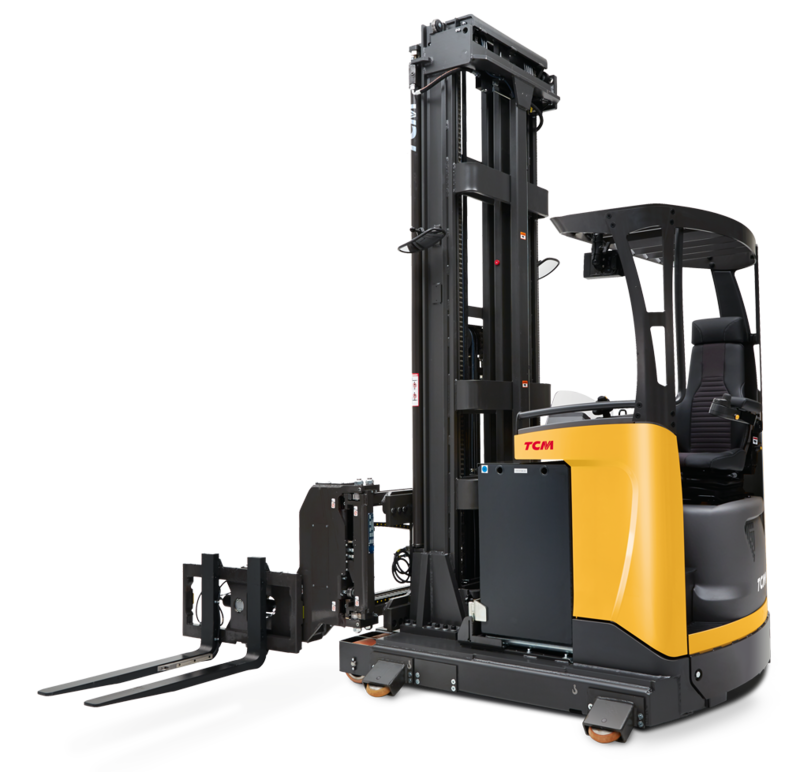 Its slim profile and rotating forks allow operators to manoeuvre fully in very tight environments, and is the perfect truck when working alongside our High-Level Order Picker range. 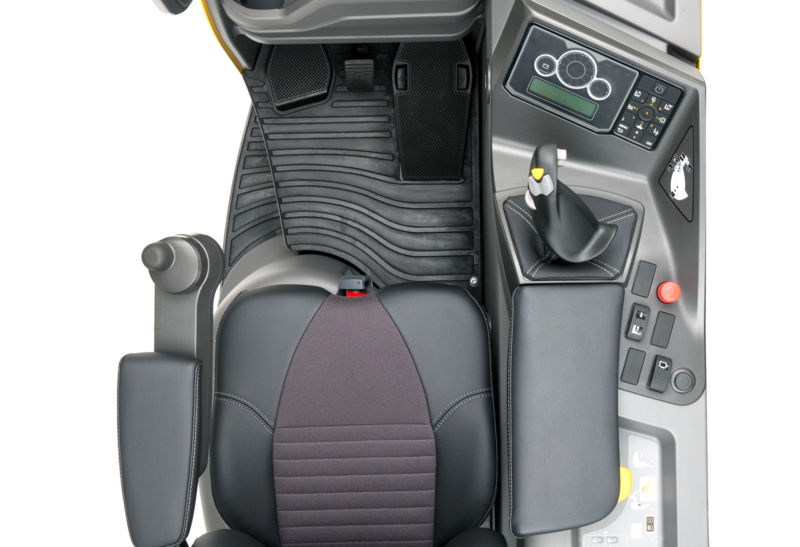 It enjoys the smallest transfer aisle in the industry - 3.7m - and able to lift to a full 10.3m. 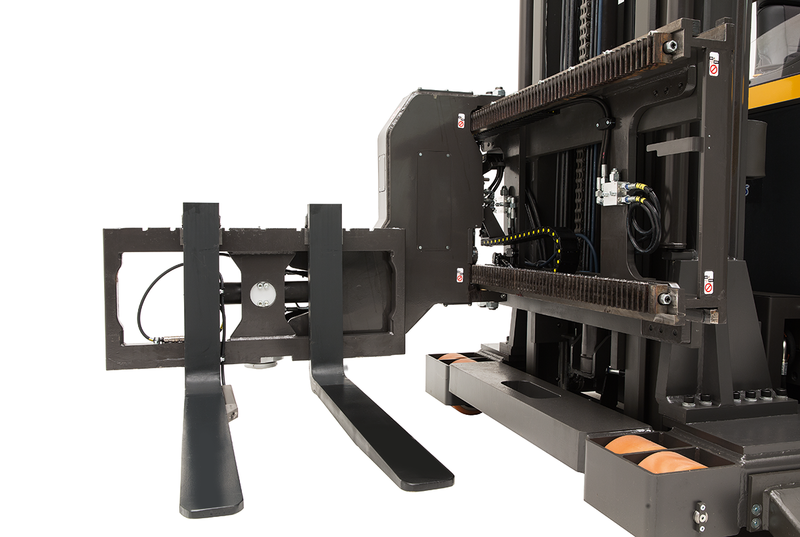 When used with guided aisle systems - either floor-mounted rails or under-floor wire - operators can concentrate entirely on stacking. Loads can be raised as soon as the truck is in the aisle, and performance gains from diagonal lift & travel are typically 15-20% faster than free-range trucks. 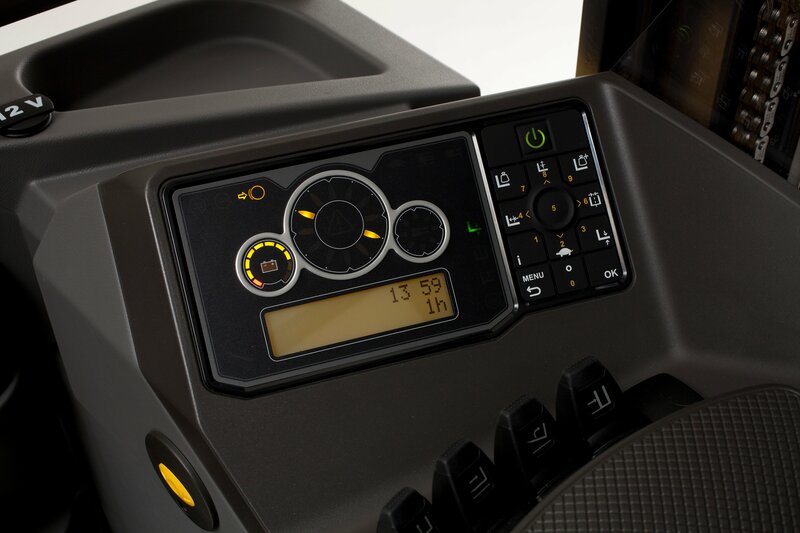 Optional extras include a storage height pre-selector and a camera monitoring system that further enhance efficiency and visibility, as well as a unique cold-store option that provides the most robust cold-store cabin in the industry, offering complete driver protection insulation in temperatures down to minus 30C.